Convective clouds form over land during the day because the land surface heats up faster than the surrounding ocean surface. As the air rises, it cools and water vapor in the air condenses to form clouds. 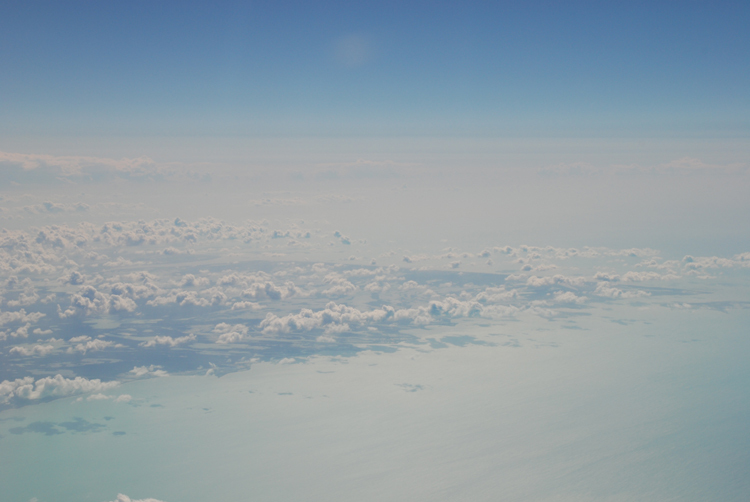 The air between Miami and St. Lucia was relatively hazy.